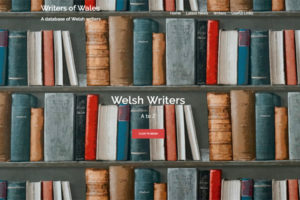 A to Z listings for all the most important Welsh writers in history, including new ‘indies’ and self published authors. 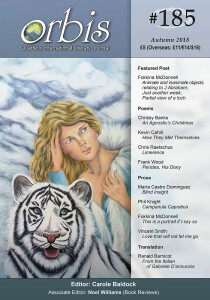 Literary magazine, poetry submissions, competition listings, advertising, reviews and much more at reasonable prices. A detailed on-line video lesson by Alinka Rutkowska for authors wishing to market their books on Goodreads. The information and insight provided is presented in a clear and understandable manner, which will enable anyone with basic Goodreads skills to establish a system to obtain reviews, build an email list and draw attention to a personal website. Once the initial work is completed, this marketing system requires less than thirty minutes a day to maintain. Book marketing doesn’t need to be an exhausting hamster wheel of promotion and publicity. Put your book sales on autopilot… so you can focus on writing your next bestseller. 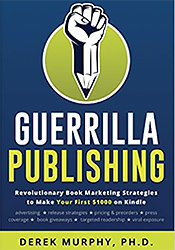 This book is a crash course on some of the more creative book marketing strategies. It will provide simple, actionable, measurable steps to publishing a high quality book quickly, doing only as much marketing as is necessary to launch your book like a rock star, and keep it selling enough to support you while you write another. 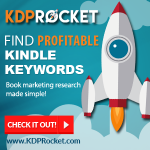 Derek discusses paid advertising, release strategies, pricing and pre-orders, book giveaways, how to target your audience, viral exposure and press coverage, marketing hacks, and how to reach your first $1000 on Kindle. First you need to show up and get in front of the right people. Then you need to surprise and delight them. You need to be remarkable enough to be noticed. Few authors are using these strategies (yet) so it’s relatively easy to outrank your competition, get more visibility and reach new readers. “Done-For-You Memes” is a great solution for most people. But, some of you might want a little more control over your promotional materials. Maybe you would like to quote from your own books? How about planting your own picture inside the meme? Perhaps you would like to include your URL inside the meme? 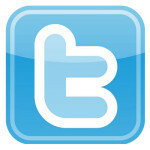 Tweet frequently – 3-5 times a day! A complete guide that could help you become a successful e-book publisher. With the ‘Ebook Profit Academy‘ you will discover the exact methods that will help you produce money making ebooks time and time again. By signing up and using the service to shop online, watch entertaining videos, search the web, answer surveys, and find great deals you earn points. Swagbucks then rewards you with free gift cards and cash for the everyday things you already do online. When you’ve earned enough points you can redeem them for free gift cards to your favourite retailers like Amazon etc. or get cash back from PayPal.